Following six long and challenging days of racing in South America, the duo of Adrien Van Beveren and Xavier de Soultrait find themselves well-placed inside the top four of the 2018 Dakar Rally's overall standings. 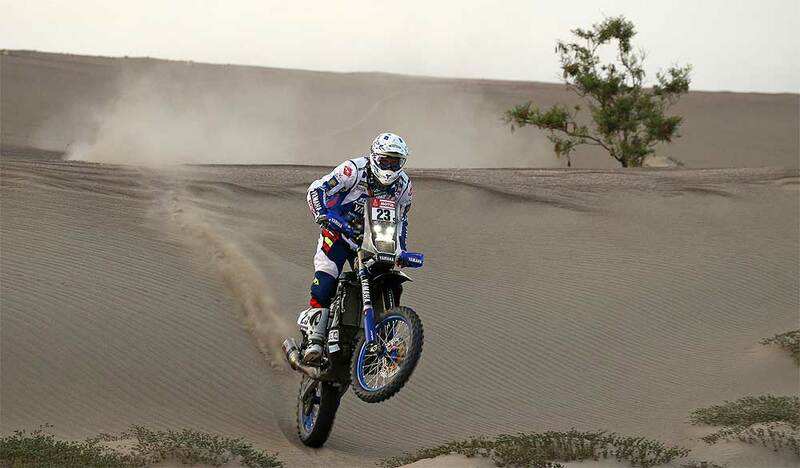 Following a well-calculated plan of attack, French Adrien Van Beveren secured a top 10 stage result, to reach the Dakar's halfway point second in the overall standings. Wrapping up a highly successful first week of racing in South America, the WR450F Rally powered rider is now 1:57 minutes behind the overall leader. 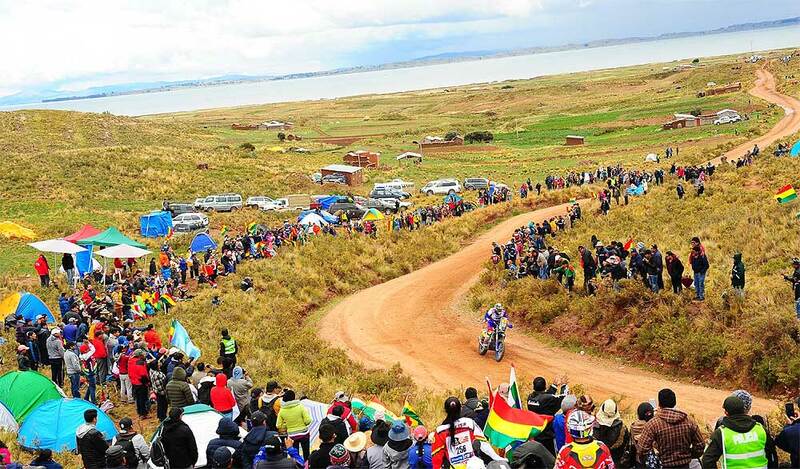 "It was a very long day but we managed to reach the La Paz bivouac without any problem," said Van Beveren. "It was raining for the most part of the day and in the liaison section it was really, really cold. The timed special was quite fast, without any technical difficulties. The goal was not to make any navigational mistakes and reach the finish with a good overall time. I am happy I made it happen and now we are here in the La Paz bivouac. So far everything is going well and I'm happy I got to the rest day in second overall. The gap to the leader is really small and with one more full week of racing, anything can happen." 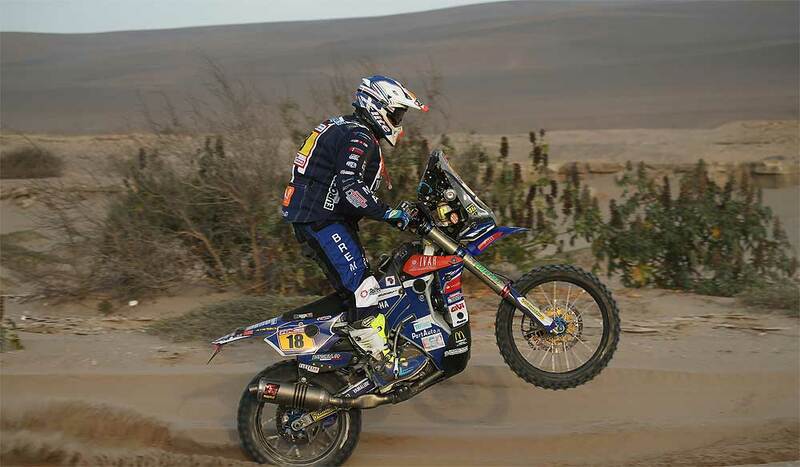 Able to show more of his skills today, Xavier de Soultrait enjoyed a great start to the special stage. 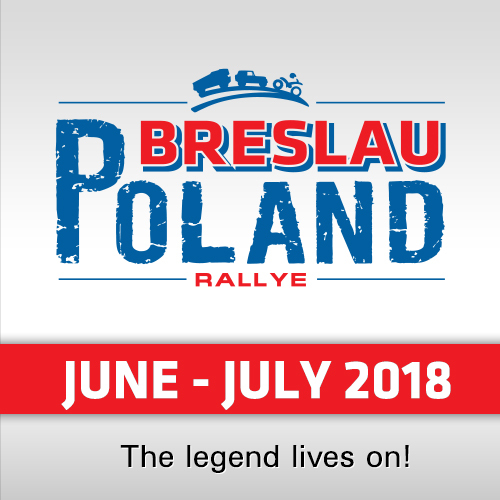 Making a few crucial passes, the Frenchman lost some time in the deep mud halfway through the stage, eventually crossing the finish line in ninth position. Gradually gaining positions in the overall standings since the first stages of this year's Dakar, Xavier is now fourth in the overall and within striking distance of the leading trio. "Conditions were totally different in SS06," De Soultrait reported. "There were parts with a lot of mud in the special stage. I attacked from the start and managed to gain some time to the leaders in the first checkpoint. Then I caught Adrien and as soon as I passed him I got a message on my GPS to slow down and ride cautiously as there had been some incident in front. As I slowed down my bike got stuck in the mud and I lost some time to get going again. Apart from this minor issue I had a good day and I'm happy I climbed to fourth in the overall." 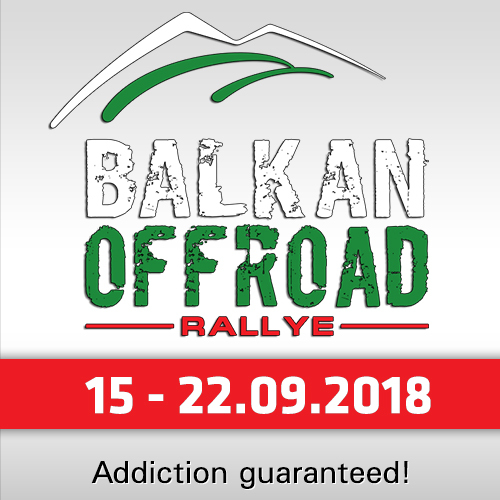 Enjoying yet another steady performance, Rodney Faggotter remains inside the top 20 in the provisional overall standings. Reaching the La Paz bivouac without any issue, the Australian is now 18th in the provisional overall. "It was a pretty long, wet and cold day so it felt like a big relief to reach the La Paz bivouac without any issues," the Australian told. "We got off to a very early start in the morning and rode all the way down to the Bolivian borders. I got through the day pretty all-right. To be honest it was hard to enjoy such a day, especially if you're all wet and it's hard to see. 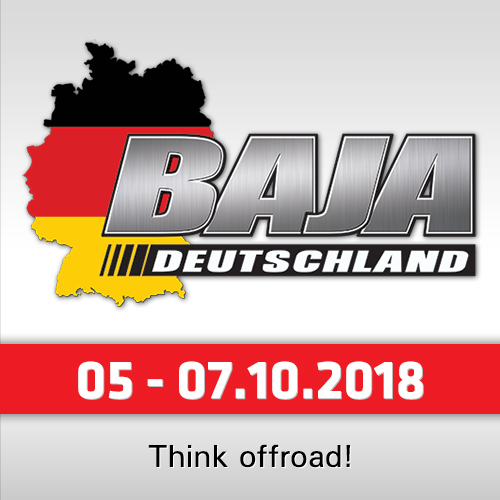 This is the Dakar and we know how to deal with such long days. I had no crashes today, my bike is in good shape so for me it all goes to plan so far." Following Wednesday's issues, Franco Caimi was back in the game. Wrapping up stage five with a 21st place result, the Team rookie is moving up the overall standings. "I am happy to be here and still in the race, to be honest," Caimi said. "Following my crash and all the problems that I had with my navigation instruments in SS05, I had to give my best to bring my bike home. It was a wet day, totally different to what we had so far. My goal is to keep pushing for some good stage results to reach the finish in the best possible position overall." Yamaha continues to dominate the Quad class of the 2018 Dakar Rally. With Ignacio Casale retaining the lead in the class' provisional overall standings, there are nine Yamaha powered riders inside the top 10.